All customers who have purchased tickets to go on this excursian will be either refunded in full or offered alternative sightseeing tours on the day. 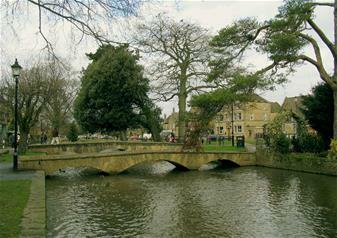 This is a full day sightseeing tour taking in some of Englands most famous landmarks and beautyspots. 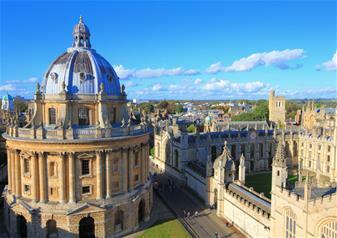 Walking tour of Oxford - We will stroll through the captivating college courtyards and narrow cobbled lanes of this historic university town and take in the famous 'dreaming spires', before visiting the the Bodleian Library – one of the oldest libraries in Europe. You'll be captivated by the atmospheric and unspoilt narrow alleys and ancient squares of the town as you follow in the footsteps of the famous universities students such as Bill Clinton and C.S Lewis. 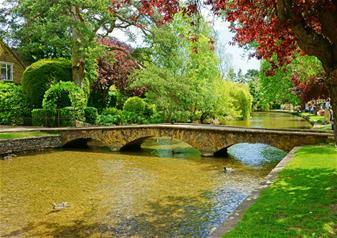 The Cotswolds - As we drive through the incredibly picturesque region of the Cotswolds you will enjoy views of breath–taking natural beauty as we weave our way through the countryside, passing through sleepy villages and bustling market towns filled with thatched roof cottages and country pubs. 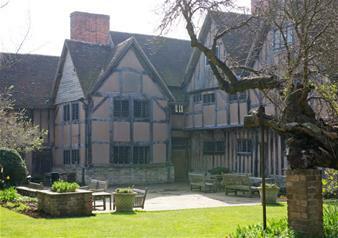 Shakespeare’s Birthplace at Stratford–Upon–Avon - A market town with a difference, Stratford–upon–Avon is the home of arguably the world's greatest playwright, William Shakespeare. 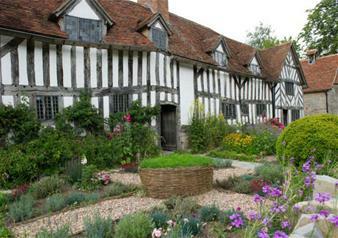 We will visit the picturesque half–timbered house where the legendary Bard was born and gain some fascinating insights into his childhood and see where the great man grew up. Lunch at Warwick Castle – (Optional) You will have the option of enjoying a delicious meal at one of Warwick Castle’s unique lunch venues. 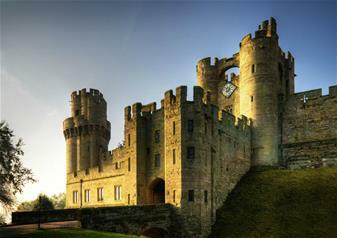 Warwick Castle - Be part of England's 'Greatest Medieval Experience!' 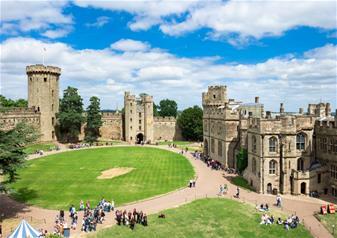 After exploring the grounds of the magnificent and historic Warwick Castle and climbing its towers, we will venture deep into the heart of the 1100 year old castle where the Great Hall becomes a hive of activity! Become a soldier for the day and Immerse yourself in preparations for battle. Feel the weight of a medieval sword and try on a battle helmet for size! We will also visit the spectacular State Rooms where you can feast your eyes on Victorian party preparations! Estimated arrival time back in London is around 7.00pm. 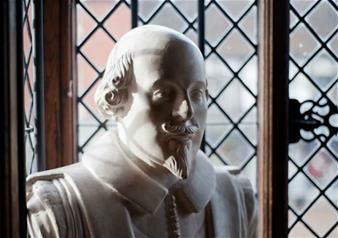 Inclusions: Walking Tour of Oxford, Entry to Shakespeare's birthplace and Warwick Castle, Drive through Cotswolds, Transportation by Luxury Air-Conditioned Coach, Professional Guide, Complimentary hotel pick up from over 80 central London hotels. You will be taken to our departure point to board your tour. BmyConcierge act as a retail agent for these activities, as such you are subject to the terms and conditions of the supplier.